Would you like knowing a surrounding better? Then Train Simulator 2017 Routes Addons may be the solution exactly for you. 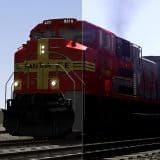 Train Simulator 2017 Routes Mods solve many issues and help not to get stuck in some difficult situation for a long term. It can be very annoying and time-consuming. For this reason, you should look through our database, pick the files and complete Train Simulator 2017 Routes Addons download. Try as many examples as you like – Train Simulator 2017 Routes Mods free files are totally out of charge and limitless. So, no more hesitations and overthinking, TS 2017 Routes Addons are a must and you should get it as soon as possible or simply now. Experience much more and get new skills with TS 2017 Routes Mods. Lift your game to the next level and outrun all your opponents. This will be a huge surprise for everyone, but very pleasant for you!